One of the health conditions that pregnant women wish their unborn child would never acquire is attention deficit hyperactivity disorder (ADHD). Being a neurological illness, it changes the normal function of the patient’s brain, to the extent that the activities that are effortless to pick up for non-disabled kids are almost impossible for them to do e.g., speaking fluently, understanding instructions, listening to others, reading, et cetera. The worst thing about ADHD is that it is incurable. The specialist may prescribe medications, but they are not enough to help someone with special needs overcome the disorder. The therapeutic methods may keep the child from consuming drugs, yet their effects are honestly not long-term for kids with short attention span. Hence, if you want to lower your baby’s chances of developing ADHD while still growing in your womb, you may do the following. You probably have listened to multiple individuals as they inform you about the benefits of relaxing when you are pregnant. Some may say, “Don’t stress yourself out; the child cannot develop well when the mother is emotionally disturbed.” Others may even warn you that dealing with anxiety throughout the pregnancy can induce premature labor. 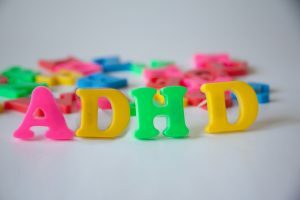 Although these are real reasons not to harbor stress and worries while expecting, you may want nothing to do with both even more once you know that getting rid of them can decrease the possibility that your kid will have ADHD. A few studies back up this idea, and the scientists believe that the combination of stress and anxiety is even worse than the effects of smoking. Everything you consume during pregnancy no longer affects your health alone. Your unborn baby absorbs some of the nutrients you obtain from the food you eat too. 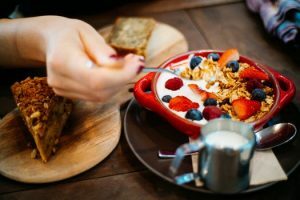 That’s why you need to be more mindful about your diet than ever. As a general rule, you should stay away from raw dishes, e g., sushi, sashimi, and tartar. You are not supposed to give in either to your cravings for junk foods. They are called as such for a reason, and it is unwise to allow your child to consume unhealthy stuff before he or she enters the world. Specifically, you have to stick to foods with natural and organic ingredients to avoid jeopardizing your baby’s physical and mental health. If you are a career woman and you still have the go signal to work from your OB-GYNE, you can keep on doing your job. However, as much as possible, try not to put on makeup or be in close proximity to beauty products for your child’s sake. The compounds found in such items, to be honest, are far from being 100% organic. They require preservatives so that you can make use of the products for months. There may be heavy metals in the composition as well, although you cannot see them without a high-quality microscope. These ingredients can enter your body and reach the baby in your belly. They may not affect you since you are already an adult, but the chemicals can have a negative impact on the child’s brain development. All the tips above are easier said than done, that’s true. Despite that, if heeding our advice means lowering your kid’s chances of acquiring ADHD, there probably isn’t a mother who will complain about these ideas. Are You Ready To Be A Mom?